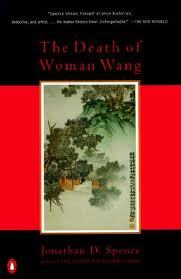 The Death of Woman Wang research papers examine Jonathan Spence's classic work in anthropology with the Tan-cheng community. The Death of Woman Wang is an insightful look into the culture and civilization of 17th Century China, specifically, the region of T’an-ch’eng. The role of a woman in China has historically been one of repression. While women are not seen as equals in T’an-ch’eng society, they held a place of esteem as long as they adhered to the strict moral code of the day . Social codes governed the actions of women and men along with the teaching of Confucius. The laws of the land and fear of shame in society dictated that men were allowed to rule over their household as the Emperor ruled over his subjects. In the stories of P’u, women are portrayed as complex characters who hold important roles in the family with almost mystical powers of will. However, they cannot rise above the feudal power given to husbands in the 17th Century. Social conditions that plagued T’an-ch’eng during the 17th Century. Physical and moral disasters plagued the T’an-ch’eng and P’u reflected that they lived in a “world that seemed to be disintegrating before their eyes”. Earthquakes and drought brought disaster to the people and created a condition of unrest and anger. Paper Masters writes custom research papers on The Death of Woman Wang and examine Jonathan Spence's classic work in anthropology with the Tan-cheng community.